DETROIT -- The U.S. National Labor Relations Board voted 2-1 to uphold a December election by a small group of workers at Volkswagen's Tennessee plant to join the United Auto Workers union, the labor board said Wednesday. VW had asked for a review of the election involving about 160 of the plant's workers, who are skilled trades employees, in which 71 percent voted to join the UAW. The plant has a total hourly workforce of about 1,400 workers. VW has said it does not want workers to be separated into fragmented representation groups. The UAW will now see if it has additional leverage to press VW to agree to come to the negotiating table for the 160 skilled trades workers, members of UAW Local 42 in Chattanooga, to bargain on wages and benefits. The members of UAW Local 42 would be the first workers at a foreign-owned auto assembly plant to gain collective bargaining rights in the southern United States. While the unit of skilled trades workers who maintain the assembly machinery are a fraction of the hourly work force, VW bargaining with them could serve as a launching pad for the union's efforts to organize other foreign-owned plants in the south. Officially, the NLRB voted to keep in place a regional director's ruling that affirmed the December election by the skilled trades workers. VW said in a statement, "We are reviewing the decision and evaluating our options." Gary Casteel, UAW secretary-treasurer and head of its organizing efforts in the south, said he hopes VW will "immediately" work with Local 42 "in the German spirit of co-determination." Casteel referred to VW's policy of allowing worker input in management decisions, which it has done at nearly all of its factories outside the United States through "work councils" which include both plant and office employees. The UAW in February filed charges with the NLRB charging that VW is violating the National Labor Relations Act and has "unlawfully continued to refuse to bargain." A dissenter to the order on the NLRB said that the skilled trades workers do not work separately from the rest of the VW plant workers. The two NLRB members in the majority said the company had failed to prove an "overwhelming community of interest" between the skilled trades employees and the rest of the plant's hourly workers. 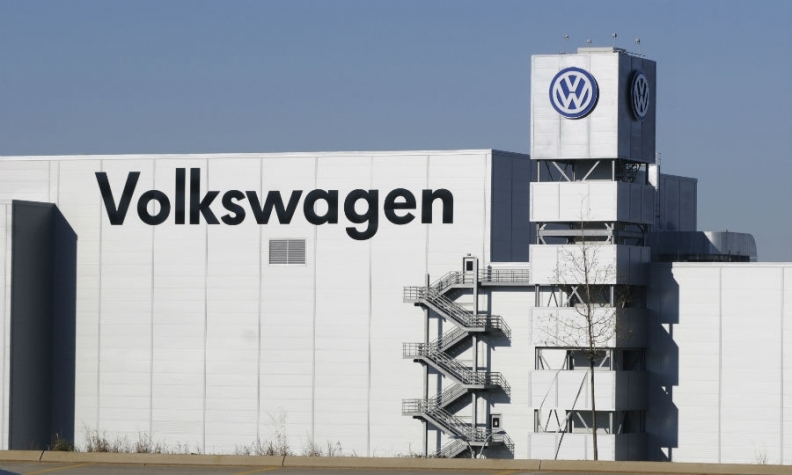 The union narrowly lost a February 2014 election to represent all of VW's Chattanooga hourly paid workers.